In response to an “everyday frustration”, the renowned Master of Wine wanted to create a glass designed to offer “the best tasting experience for every wine”, whatever its style or strength. Robinson said: “I was looking for the perfect wine glass. I love white wine as much as red and have never understood why white wine glasses are routinely smaller than those designed for red wine. “White wines can be just as complex, and just as deserving of what you might call aroma enhancement as reds. It just seems so obvious and sensible to have one single wine glass for all three colours of wine – especially when so many of us are short of storage space. 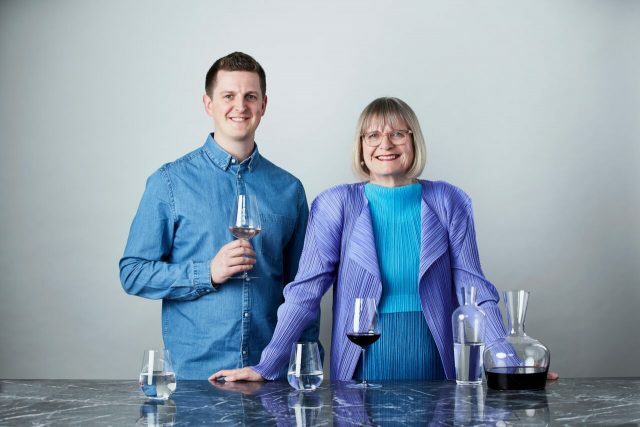 The product of a partnership between Robinson and London-based product designer Richard Brendon, the new range called ‘1 Collection’ includes the wine glass, a water glass, young wine decanter and old wine decanter.